Monster Party is an explosion of fun and pure joy. Children will love the hilarious, naughty desert monsters who come out of the ground to have a party on Dora Lake. Eating chips and monster cake, they go ‘galumphing’ all over the place with a drum and a bass! 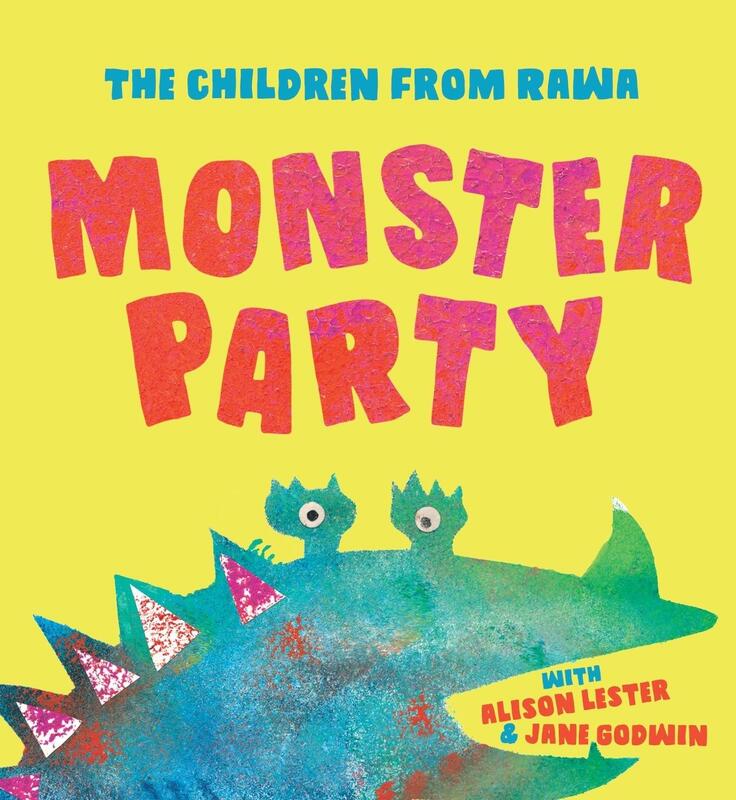 Of all shapes and sizes, these monsters create havoc for the children at Rawa Community School who live on the edge of the Great Sandy Desert - ‘dancing and stomping’, ‘crashing and crunching’, ‘prowling and growling’, ‘happy and smiling’! Jeepers creepers! The monster cut-out illustrations created by the students are delightful. Monster Party will capture the hearts of the very young and the young at heart.